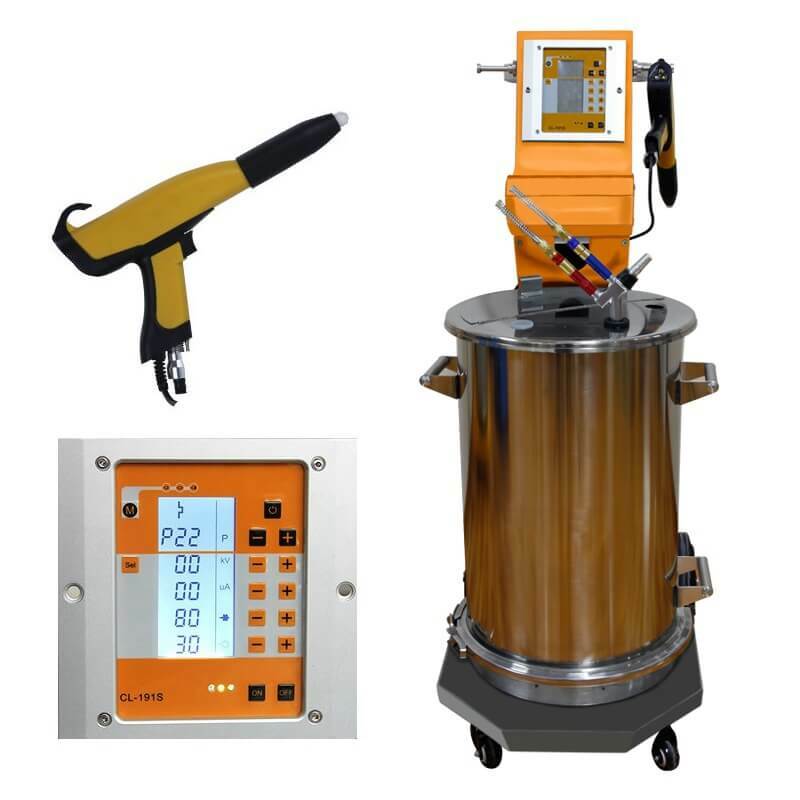 Including powder coating gun, powder spray booth and curing oven, this manual powder coating equipment package is an affordable and simple solution for batch production of small to medium sized products, such as car wheels, bicycle frames, motorcycle parts, furniture(chairs, shoe racks, cabins), iron art parts(lamp shade, candle holder, decorative products) and all other metal pieces. 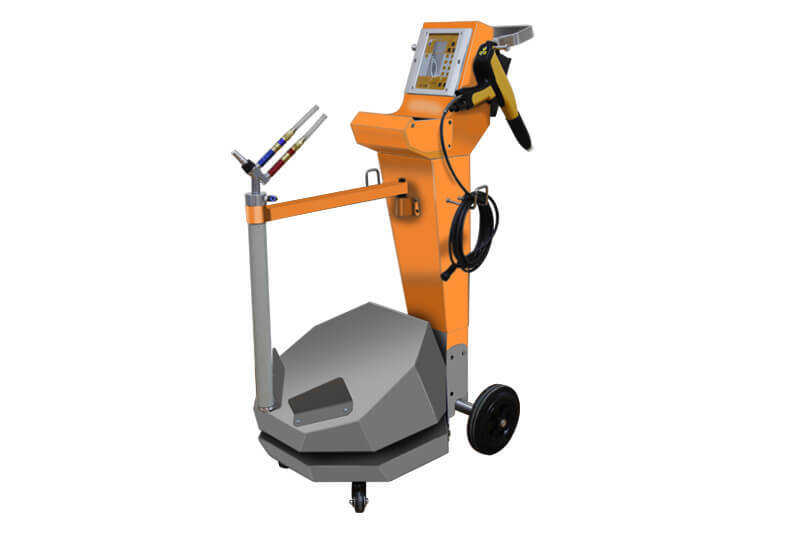 Suitable for simple manual powder coating start business, or replace old ones to improve application quality. 1. CL-191S offers 3 pre-set standard application programs for flat parts, profiles and re-coating .It is very simple to operate for a beginners. 2. Allows advanced users to create and store personalized application programs optimal for their parts and powders. Each part can be coated always with its ideal settings. Up to 20 coating programes can be stored in the control unit. 3. A clear and easy to use LCD interface facilitate every user to take advantage ofthese powerful technologies. Fluidizing hopper type: Can hold 60lbs powders, suitable for single color application. Box feed Type: Direct put the powder box on the trolley, suitable for many powder color application, it is fast for color change. 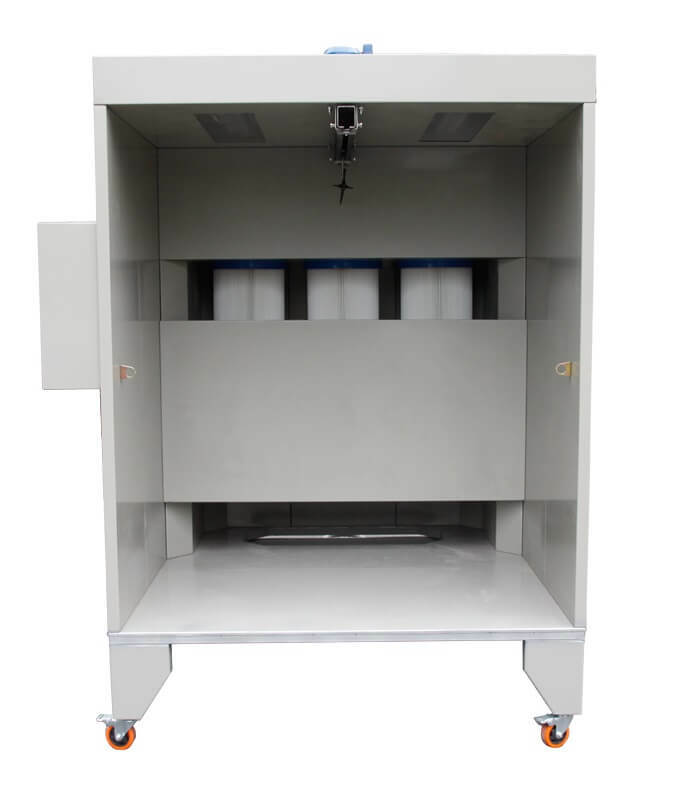 The CL-1517 powder booth is convenient to use with manual powder coating machine and curing oven, suitable for batch production of small to medium sized parts. 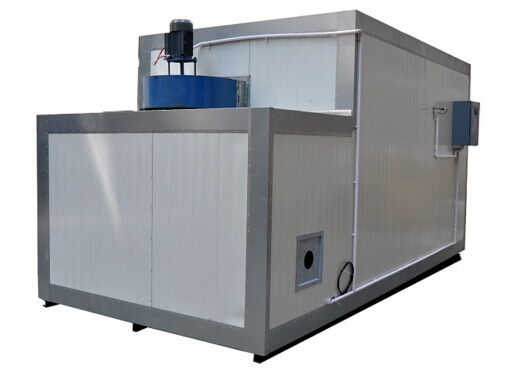 Based on COLO technology, It is an universal and economic powder recovery system. 2. The quick-release type filter prevents accumulation of the powder and makes it very easy for cleaning and fast color change. 3. Compact Modular design, PLC controllor with emergency stop switch ensures stable and stable working. 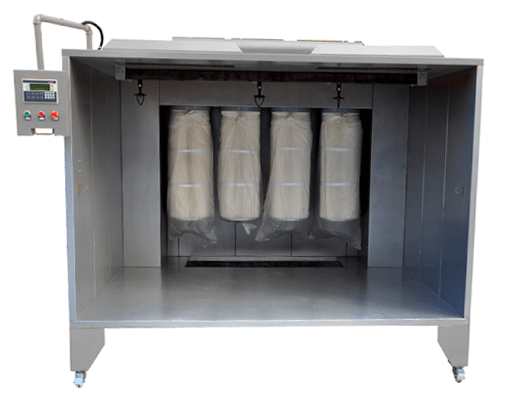 Our curing ovens are designed specially for powder coating, When a thermoset powder is exposed to required temperature, it begins to melt, flows out, and then chemically reacts to form a higher molecular weight polymer in a network-like structure. 2. Rapidly raise to the required temperature, save your time every day. 3. 100mm thickness rock wool board of the interlayer, keep long time heat preservation. Size and special requirements can be customized based on actual powder coating products. Inquiry any models system of colo and free powder coating line design by sign up here.